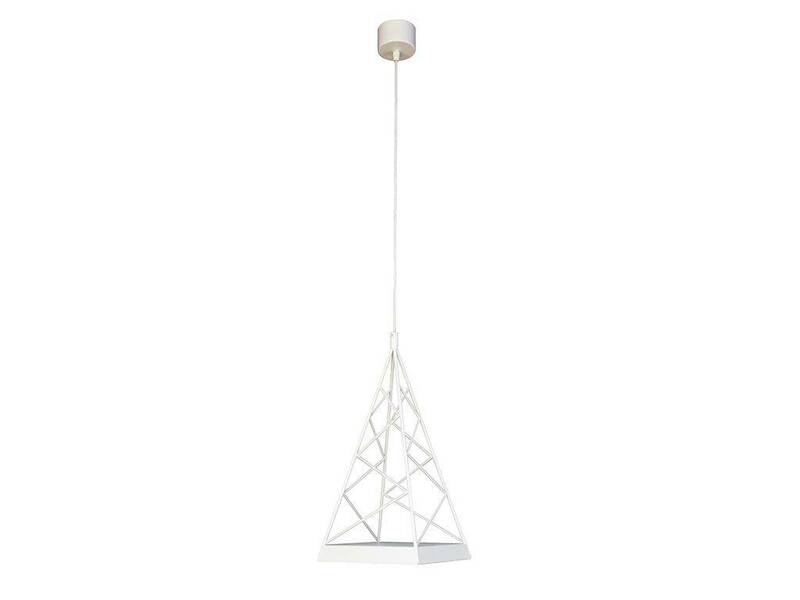 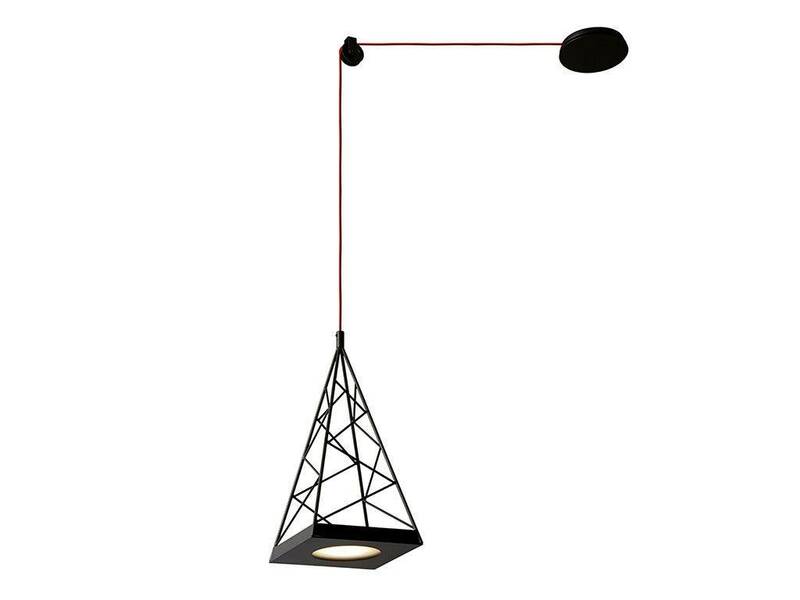 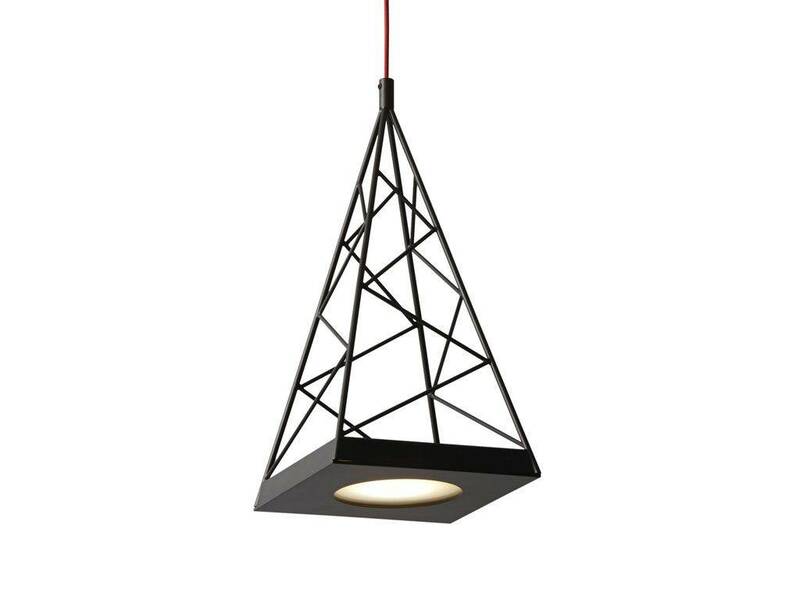 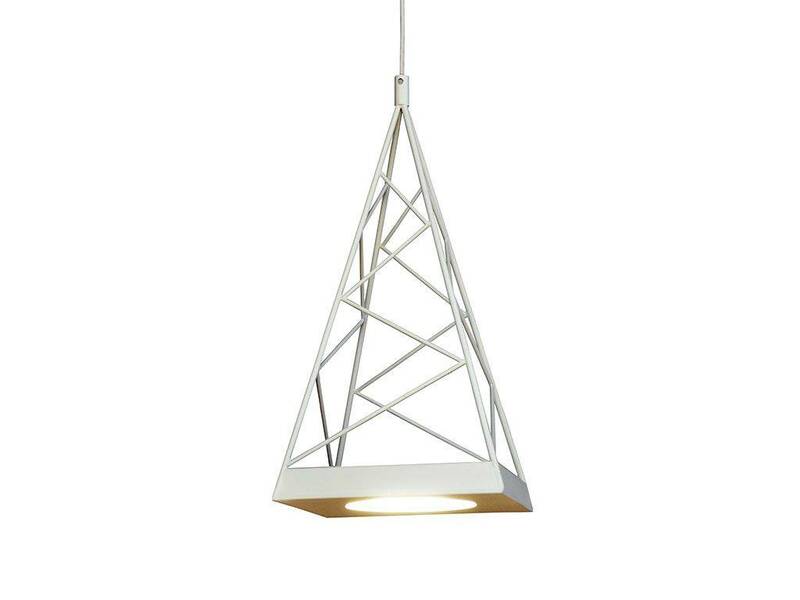 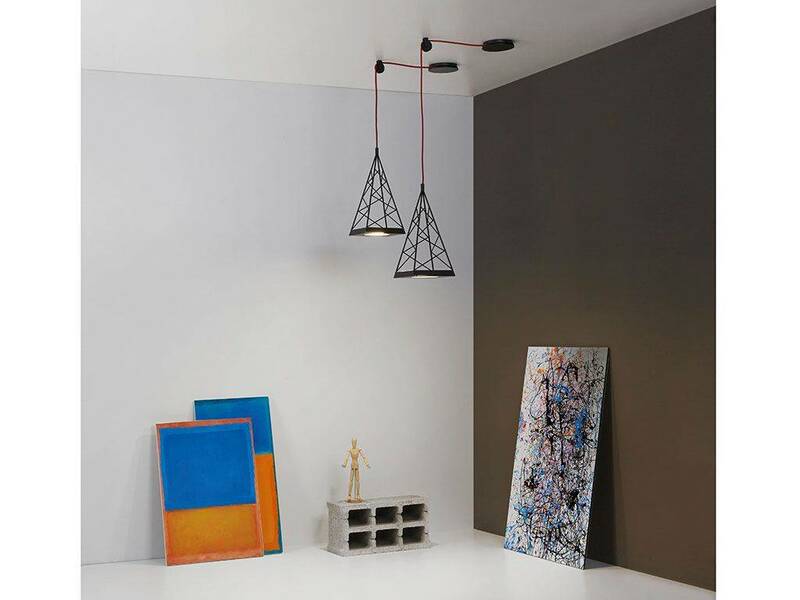 Hanging lamp with an iconic design composed of a epoxy powder coated steel bar and sheet. 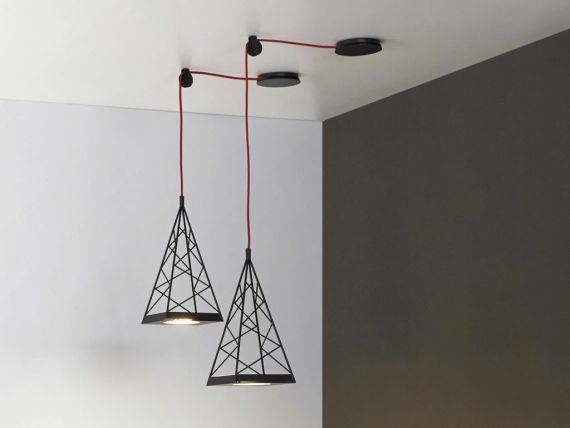 There is the possibility to set the height and decide the light thanks to a junction system which allows the decentralisation and sliding of the cables. 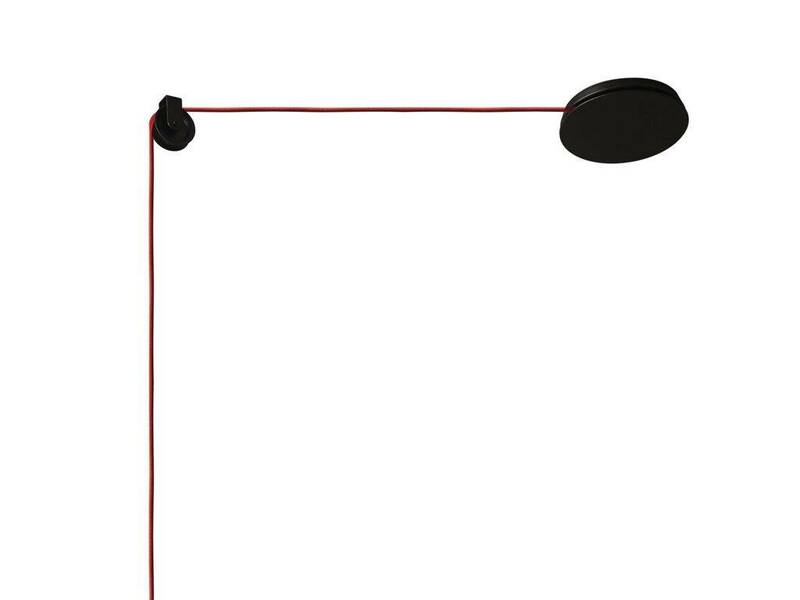 It's perfect on a table to create a place to read.